KOLKATA: Calcutta High Courton Wednesday passed an order that will help residents of Salt Lake to mortgage their property without much hassle. Justice Tapabrata Chakraborty gave the state six weeks to take necessary steps in this regard. 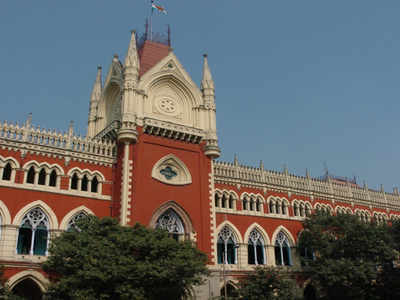 According to advocate Smarajit Roychowdhury, who moved court on behalf of Shamik Goswami, the order will have far-reaching consequences as those living in Salt Lake were unable to mortgage their property till now, even when passing through financial distress. In 1991, Soumen Goswami was allotted nearly two cottahs of land in Salt Lake’s GD Block on a 99-year lease. After building a house, he donated 40% of the property to his son Shamik on August 19, 2016. The son got the portion mutated soon and on October 17, 2016, applied to the urban development department, seeking permission to mortgage it. On January 2, 2017, the department informed Shamik that he would have to provide a consent letter from the bank where he planned to mortgage the property with reasons behind his decision. He was also asked to deposit Rs 10,000 through a challan. Shamik submitted that on March 6, 2017. There was no further response from the authorities, but Shamik did receive a show cause notice wanting to know why he was using his property for commercial purposes. He was using two rooms as shops. The urban development department also demanded a penalty of Rs 41,200, which he paid. On July 14, 2017, Roychowdhury sent a legal notice to the department, seeking to know why the permission was being withheld. There was no response for the next one and a half years. Finally, Shamik moved a writ petition in the HC on January 18, 2019. “The court sought an explanation from the state. The urban development department submitted that there was an error and sought some time to set things right. The court granted it six weeks accordingly,” Roychowdhury said. Diana Clement: Should I break my mortgage?